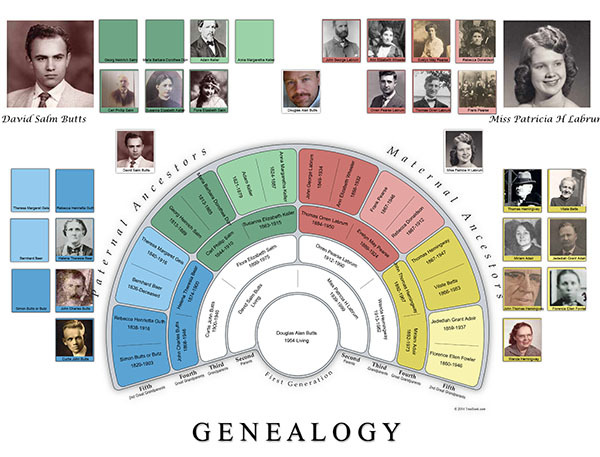 * This website uses FamilySearch to maintain users and you will be asked to log into FamilySearch. 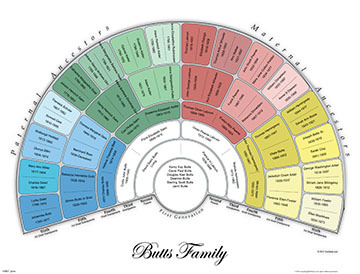 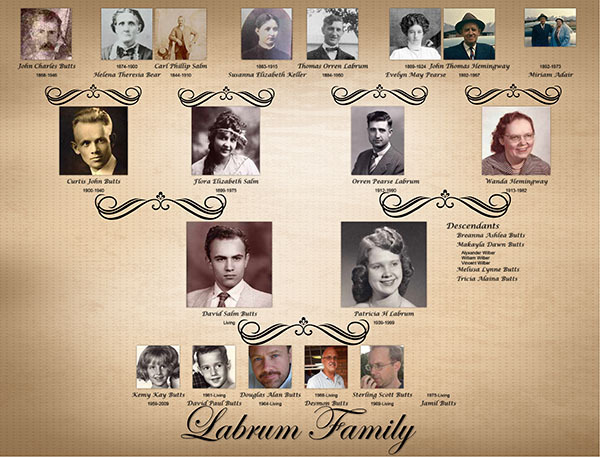 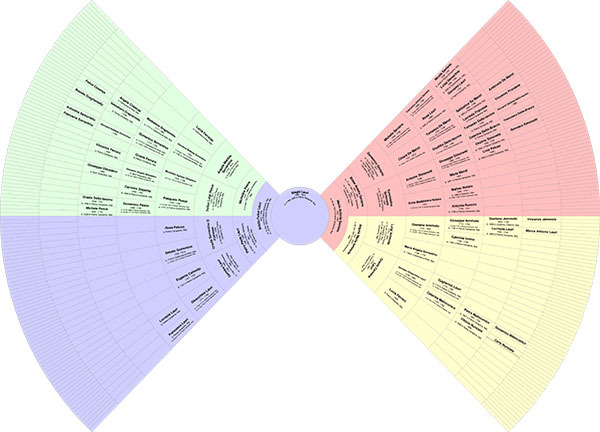 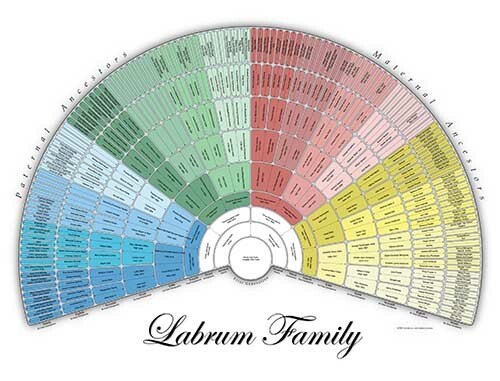 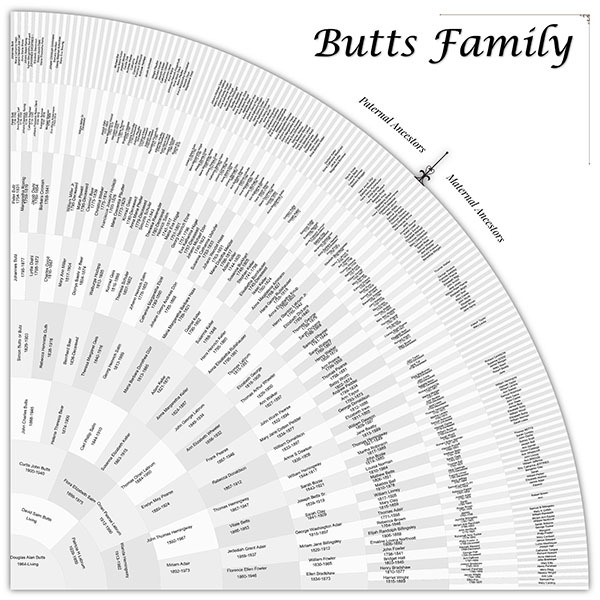 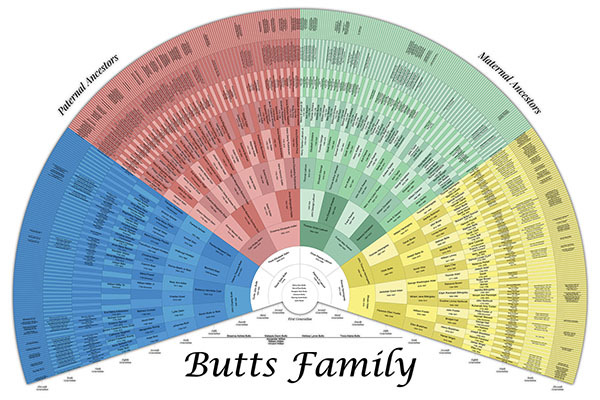 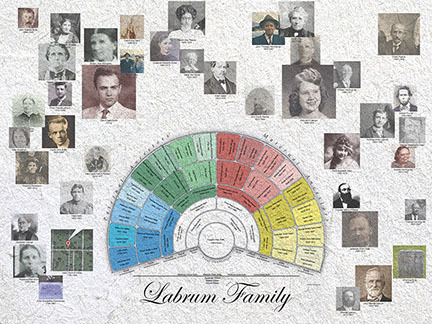 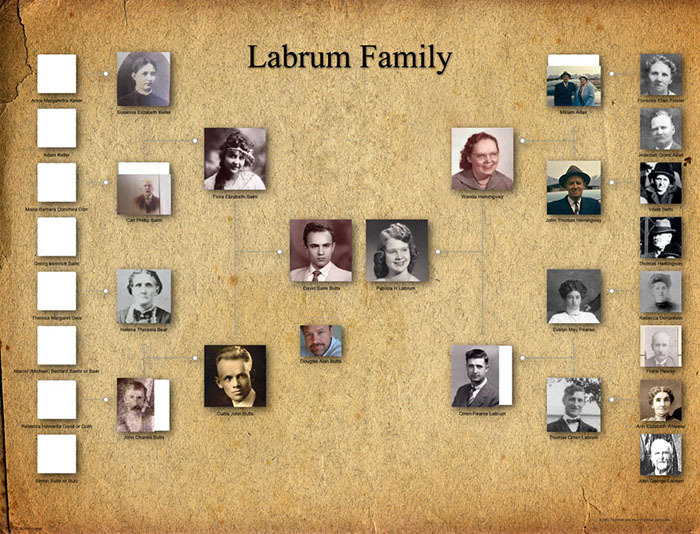 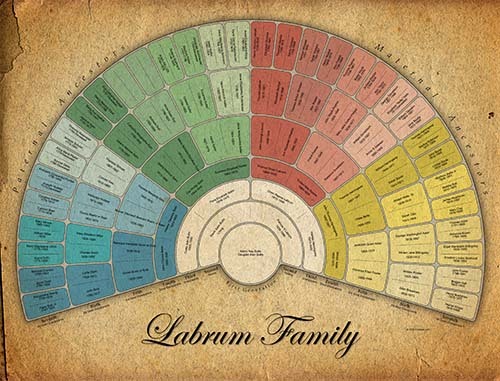 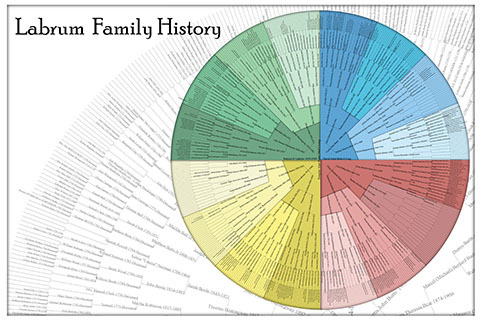 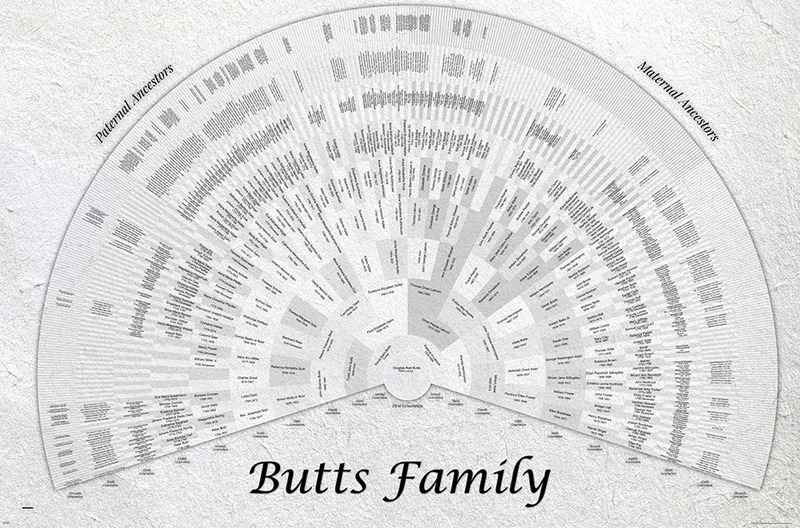 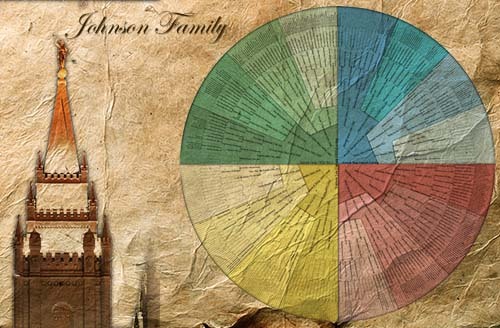 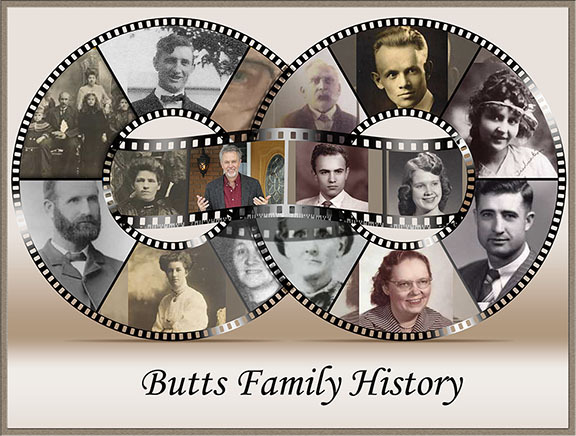 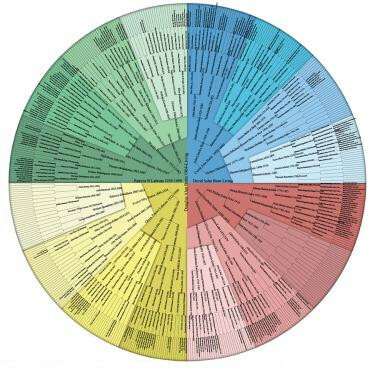 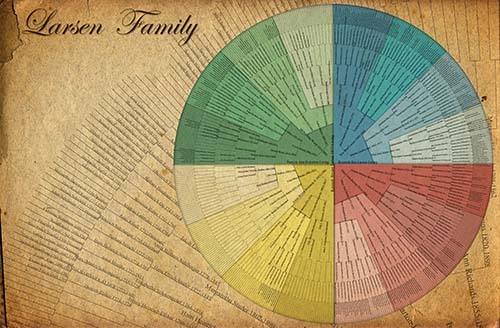 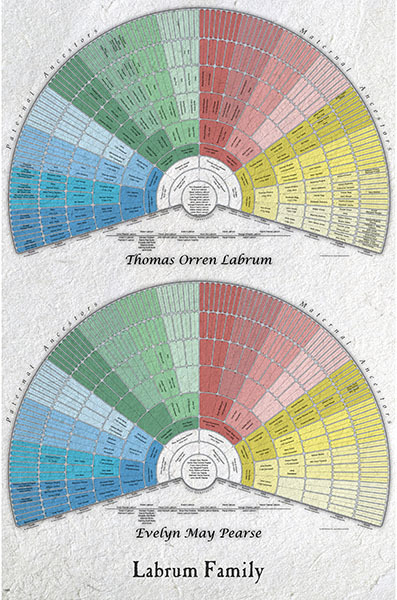 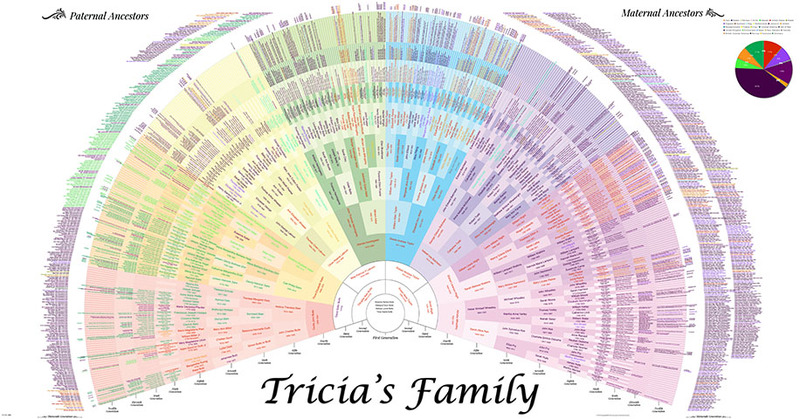 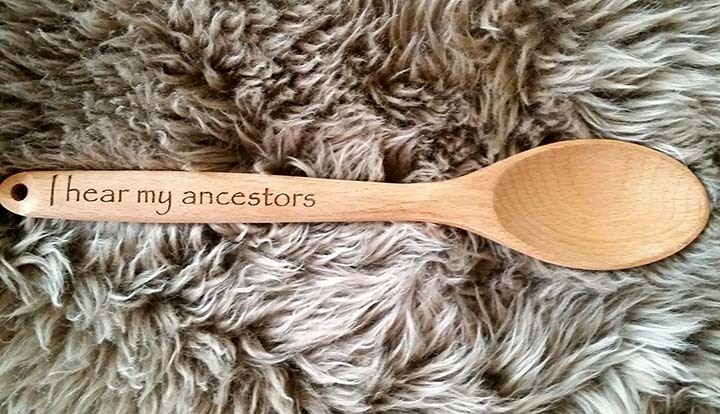 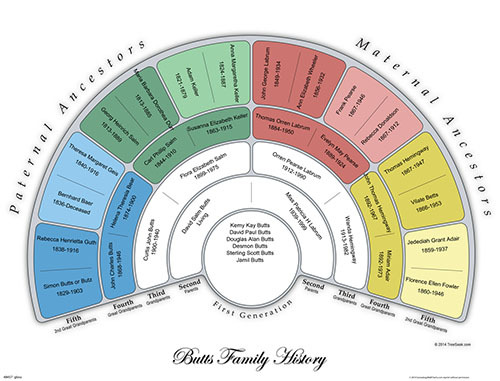 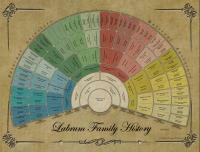 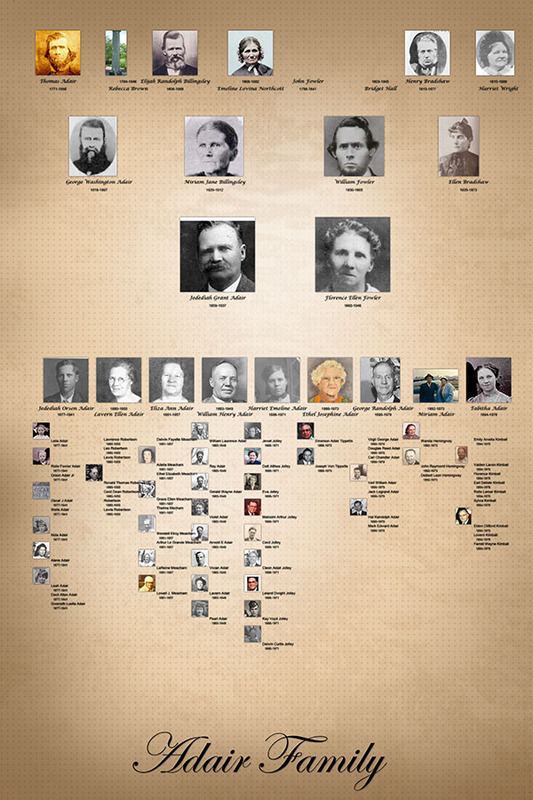 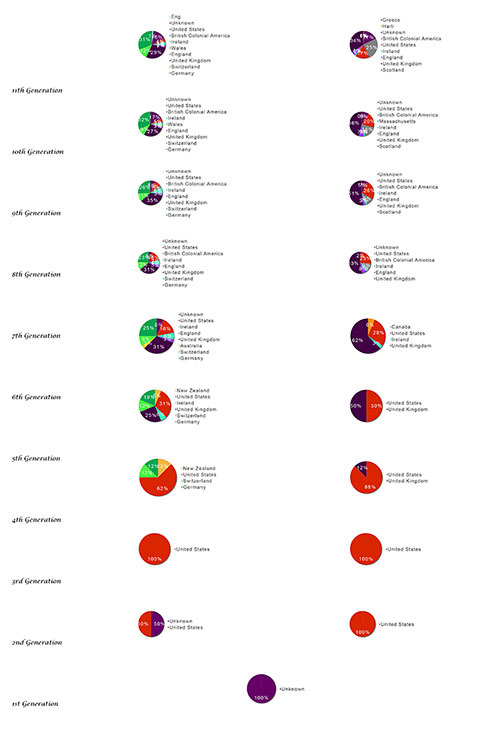 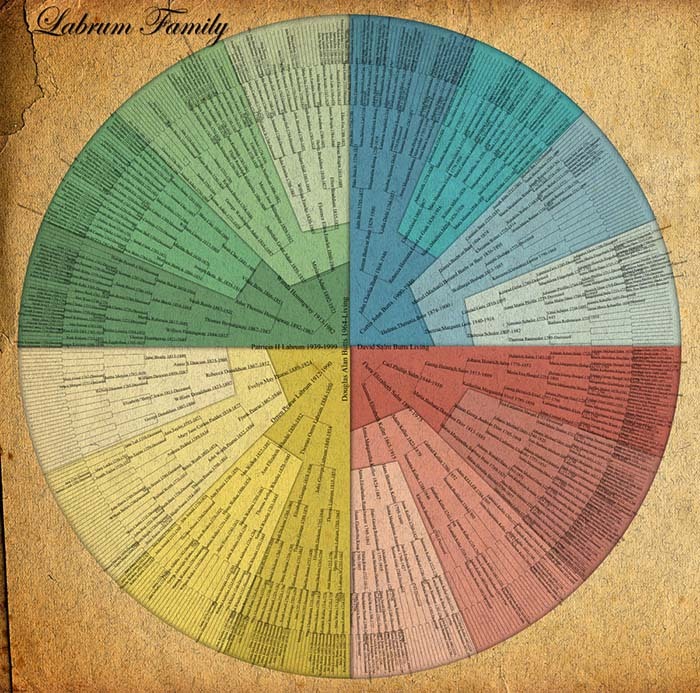 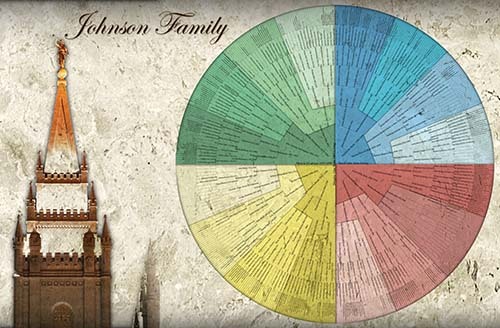 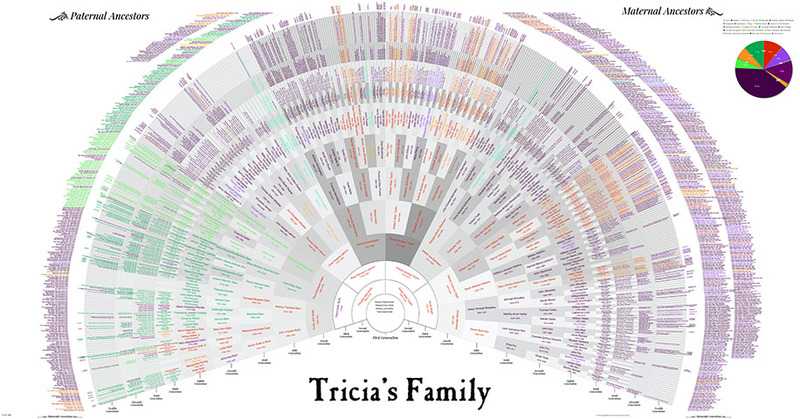 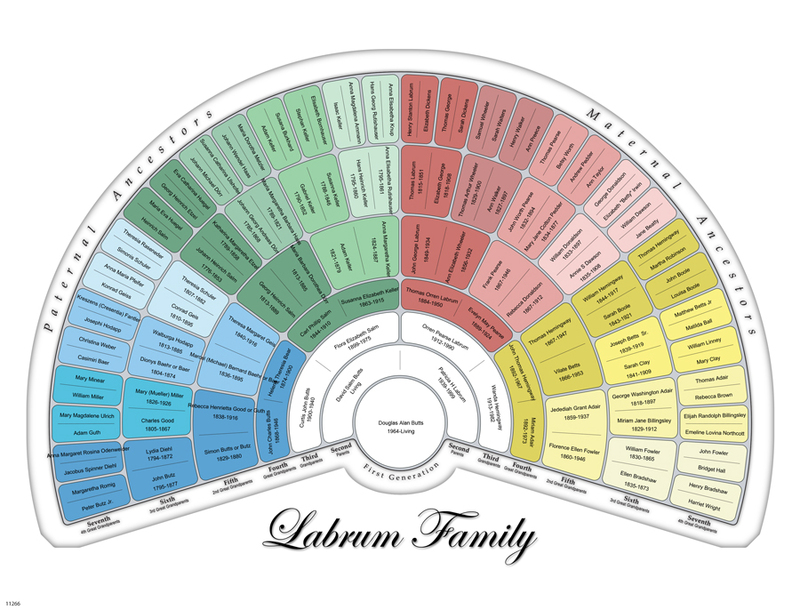 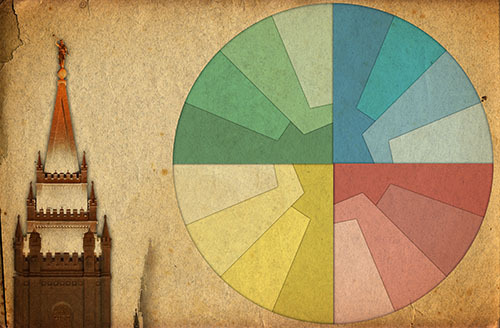 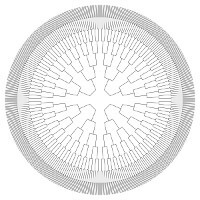 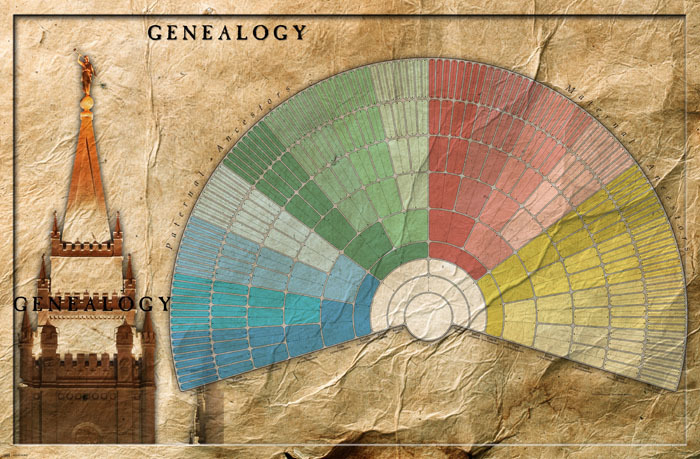 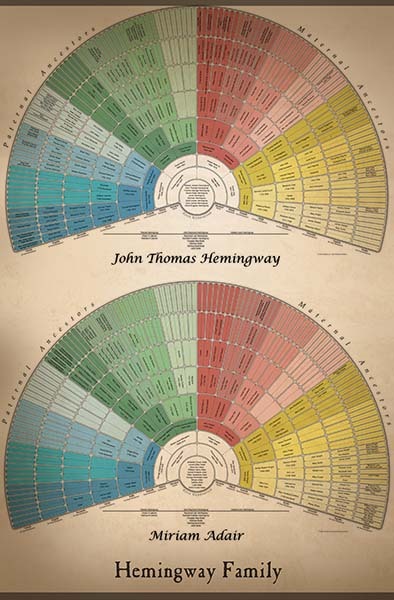 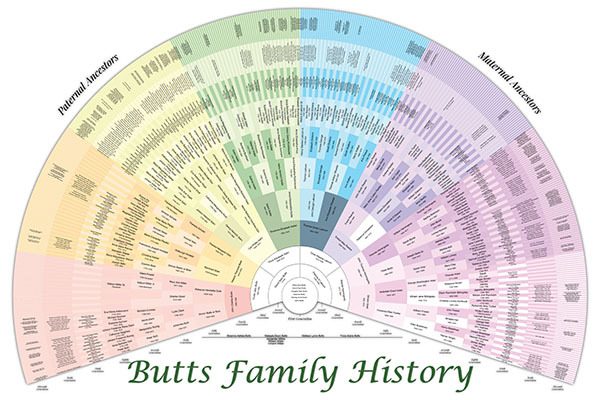 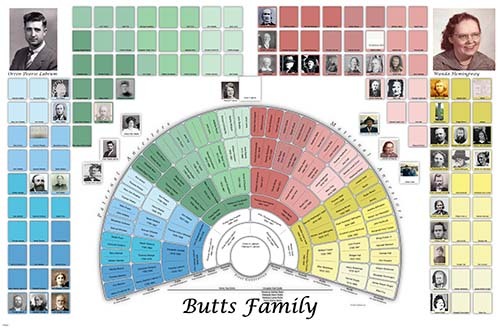 * We use data on FamilySearch and GEDCOM files to create Fan Charts. 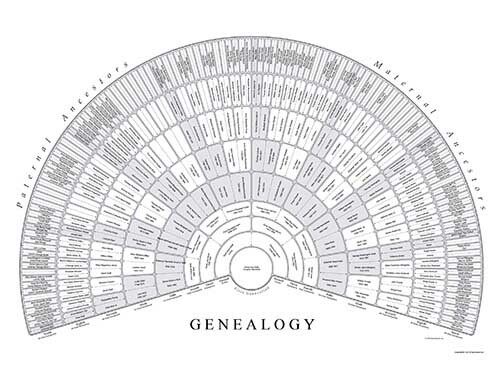 * If you do not have a FamilySearch ID create one and you will be brought back to our website. 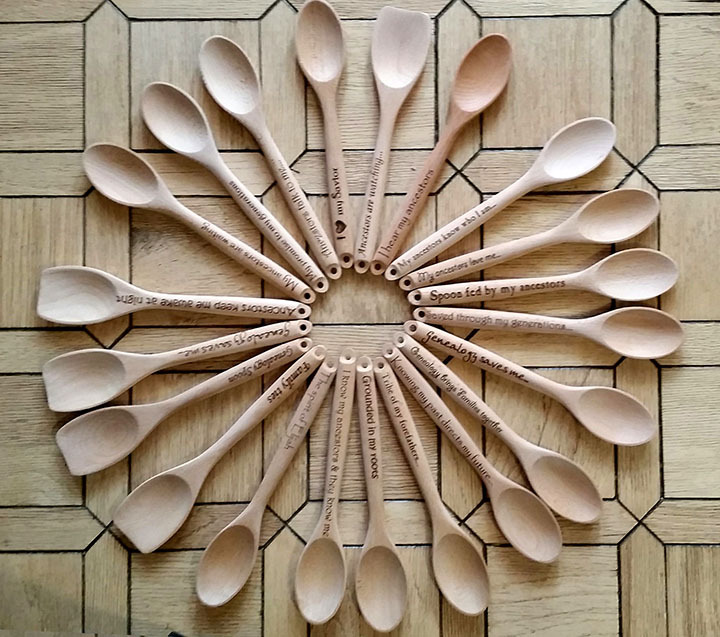 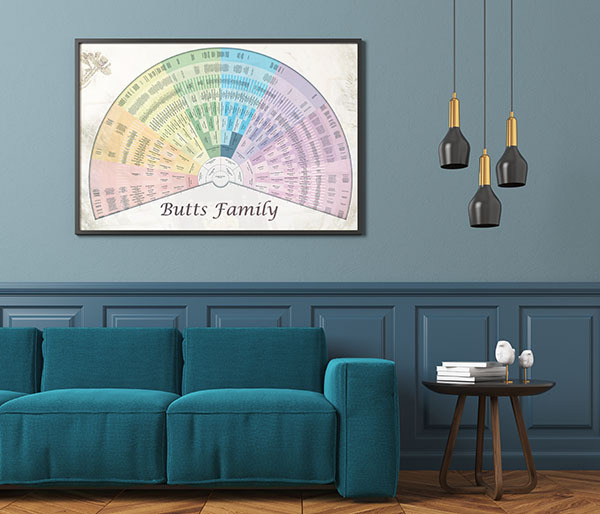 Takes just 2 minutes to create. 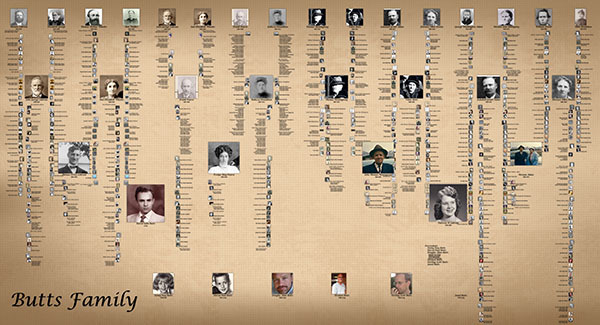 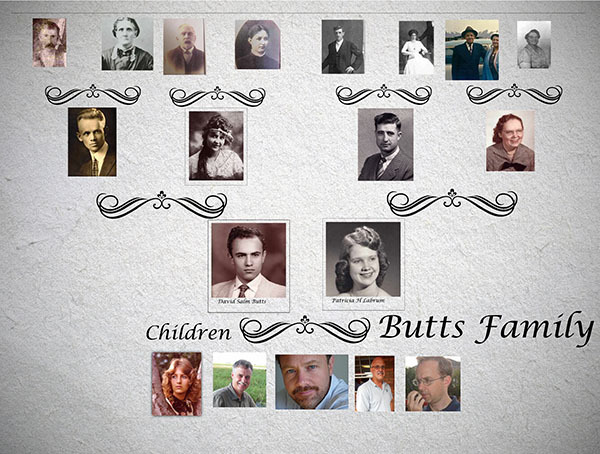 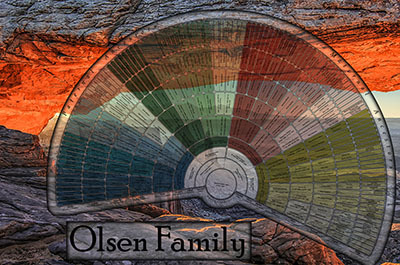 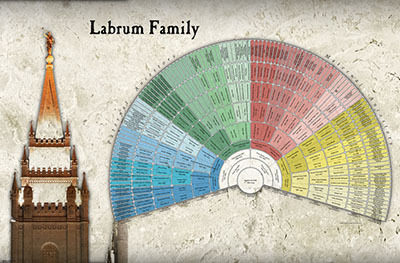 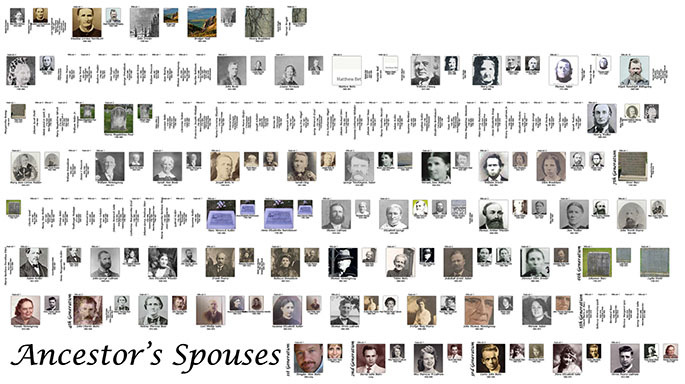 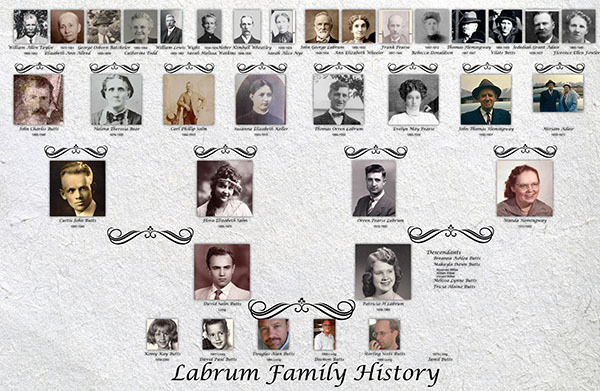 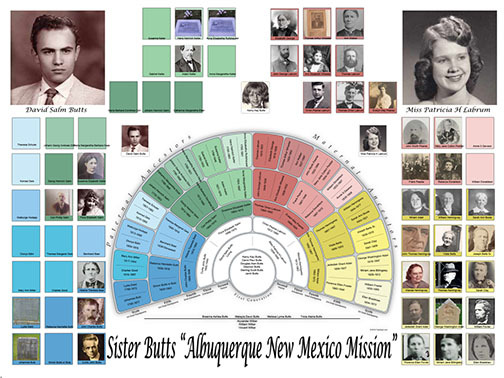 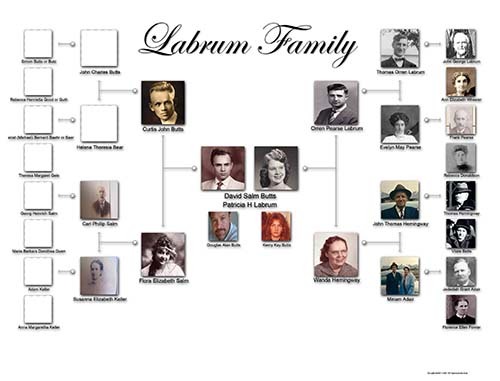 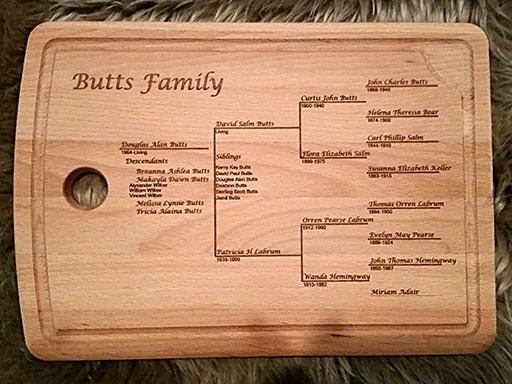 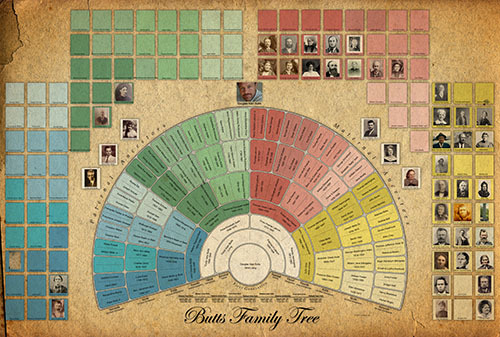 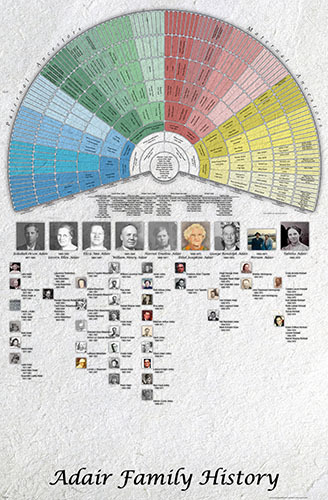 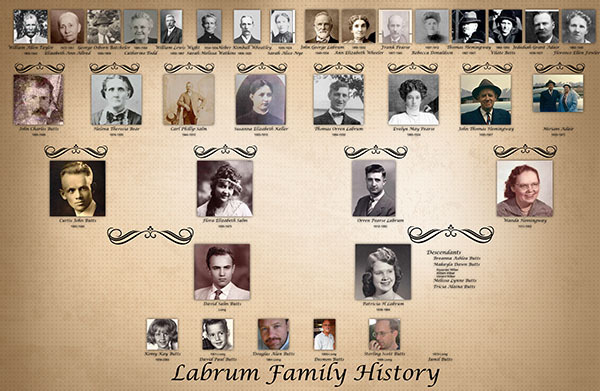 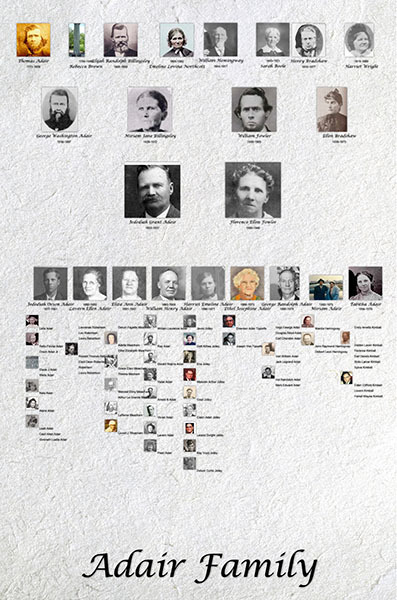 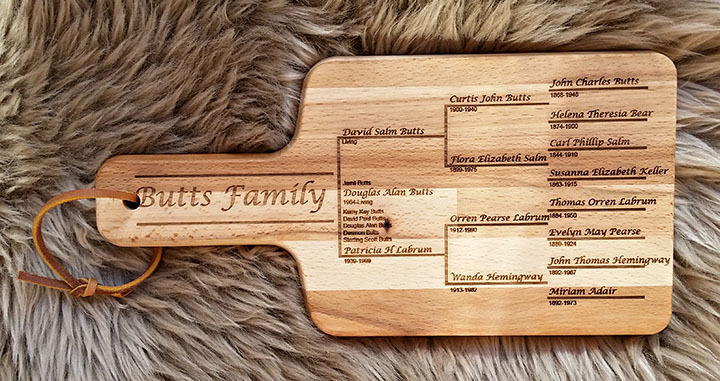 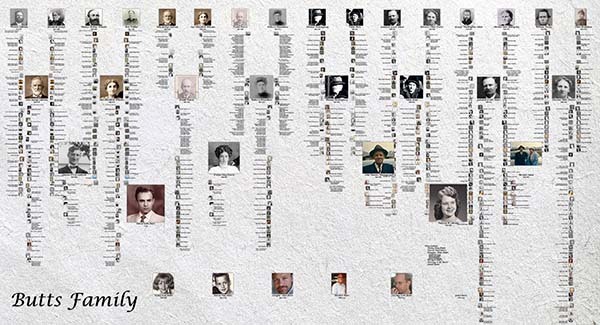 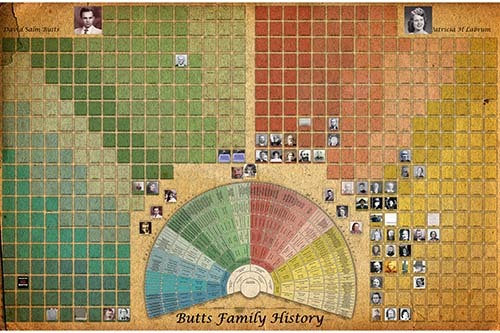 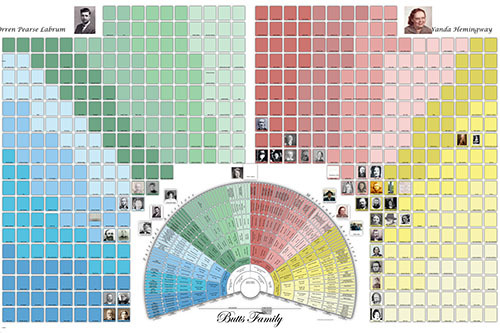 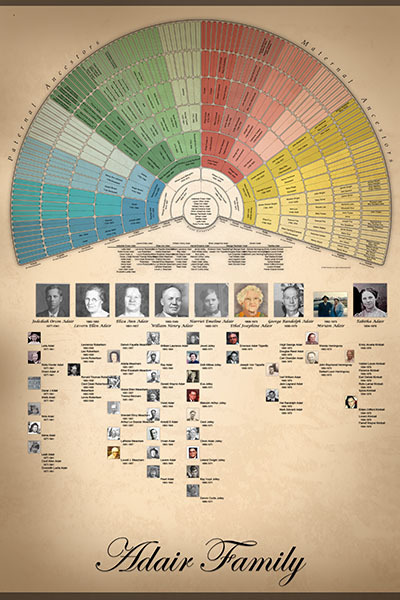 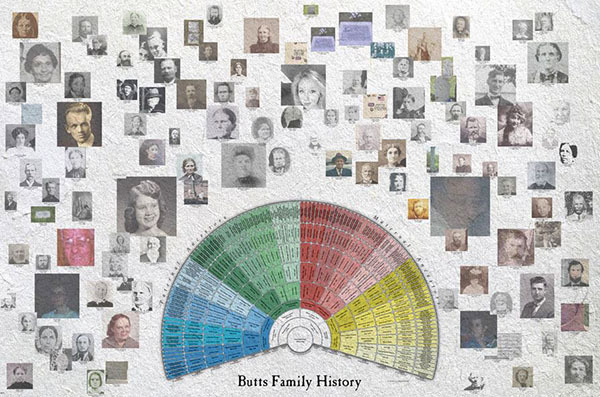 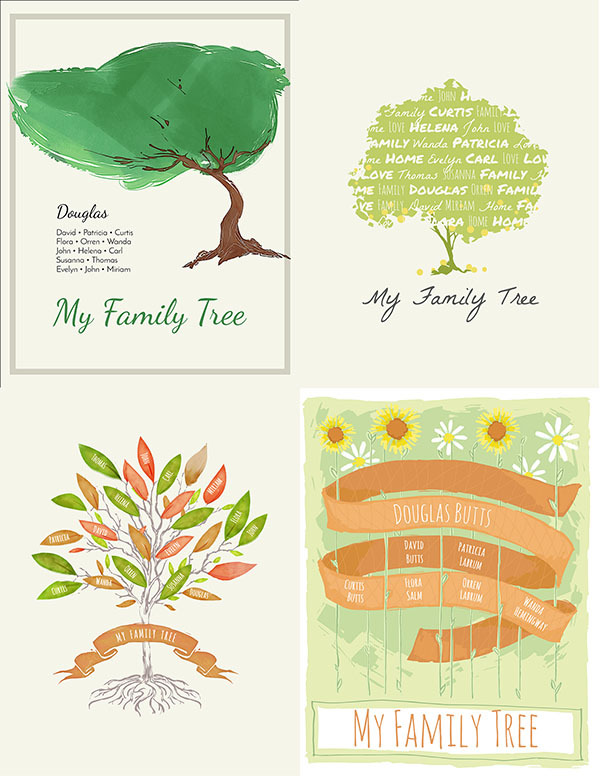 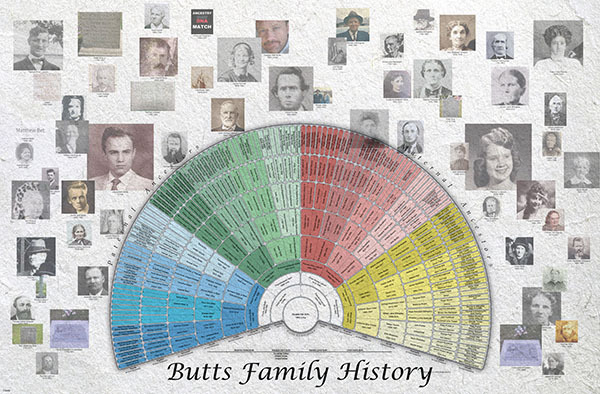 9 gen quarter fan "Beta testing"
We create/print amazing wallcharts from your genealogy from FamilySearch or GEDCOM files. 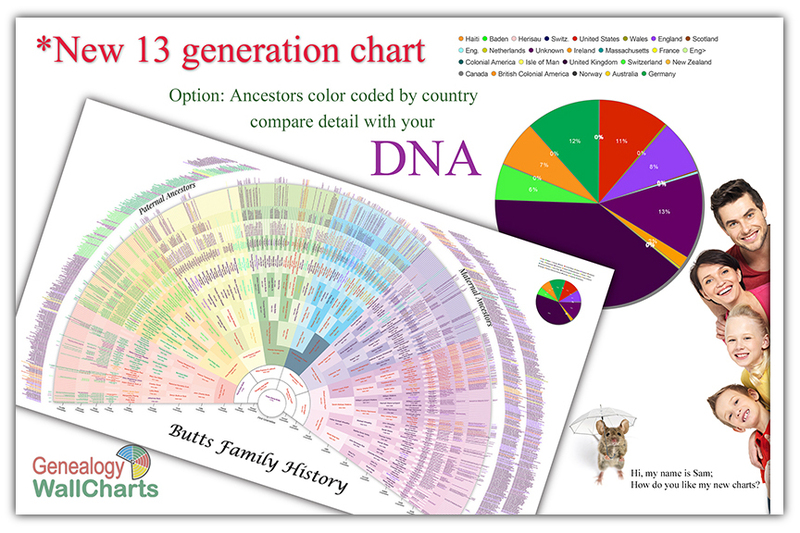 We also provide the electronic copy of your chart.